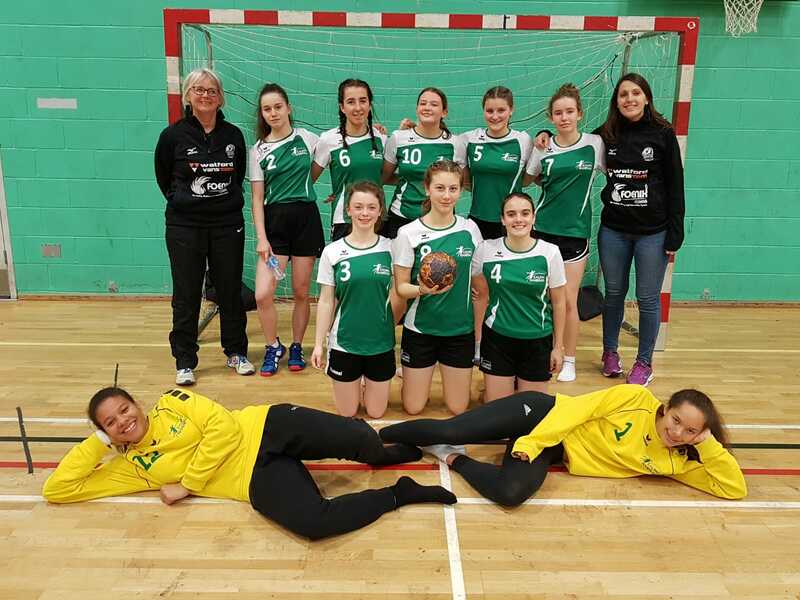 West London Eagles U19 girls team continued their unbeaten start to the season with two further victories on Sunday at Stoke Mandeville. The Eagles go into Christmas sitting proudly on top of the girls South League, ahead of the much fancied Stroud side who we have yet to play. The first game was against Essex and this was a particularly poignant match for right back Tyler Sartain who joined Eagles from Essex at the start of this season. Coach Mel Chowns was continuing with the focussed four block defence and Essex found it hard to find a way through and when they did they were met with the imposing Akira Adeniran-Lowe in goal. In attack, West London were finding some great flow with Elly Stonebridge playing Left back and Zoe Lacour on the left wing exploiting the gaps in the Essex defence and executing some great 1 on 1 attacking play. The game was effectively over as a contest at half time with Eagles comfortable at 18 – 4. The second half saw an equally dominant performance with Diana Fartais, Holly Thompson and Sartain getting in on the scoring act and the team running more fast breaks. Essex defenders were forced into some last ditch defending at times which led to penalties awarded, all of which were converted by Fartais. The Eagles defence were even tougher to beat in the second half conceding just two goals as Rhiannon Stewart now in goal also had a great match. The final score was 35-6 with newcomer Cristine Matei scoring her first goal for the club. The second match was against Bideford Blacks from Devon and this was always going to be a close fought match with fewer fast break opportunities and a clash of two strong defences. Both teams could boast some GB squad players from the U16 and U19 national team squads and the game was keenly contested by both teams. Stonebridge and Fartais led the attack well in the first half, with some trademark 9 metre shots from Diane and Elly keen to test her 1v 1 skills to great effect. Bideford’s Alice Beresford was a handful and it needed the Eagles defence to stay focussed throughout. In attack, Eagles shot % was not as good but gradually the team found some great combination play and Sartain and Thompson in particular combined well, with Holly scoring well from running in from the right wing. At half team Eagles held a 4 goal lead but Bideford came back strong in the second half and matched Eagles goal for goal throughout the second period. West Londo defence remained strong however and Zoe began to push for more fast breaks as Bideford started to tire. However, the second half remained close but our opponents could not make any in roads into our 4 goal lead. The match finished the match the victors by 15 -11 and the points safely in the bag.